Joining the APA - APA Inc. The APA has two levels of membership, Associate and Professional. Associate Membership is available to those who have taken the first step in becoming a professional astrologer and gained an APA recognised Diploma in Astrology. Associate Membership gives the opportunity of becoming part of the APA for a period of a year during which you should be actively working towards Professional Membership by completing the required counselling theory and supervision hours. If you meet all the criteria (astrological qualifications, counselling training and supervision hours) you can apply for Professional Membership. Achieving Professional Membership with the APA is an acknowledgement that you possess the skills and information necessary to counsel or educate in the astrological field. Membership cannot guarantee that you will be the best in your field; it does however affirm your preparation, experience and commitment that is both recognition of your present abilities and a challenge to continue to improve your skills through such areas as Professional Development programs. APA Professional Membership offers professional recognition as an Astrological Practitioner with specialised skills and knowledge. The APA has been accepted as an accredited association, for insurance purposes this allows members, who are permanent Australian residents, to obtain Professional Indemnity and Public Liability insurance at the special insurance rates under the scheme. 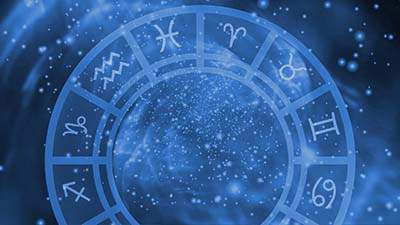 Information and references on issues and matters related to the profession of astrology through newsletters, networks, etc. Current information on available education and training courses and opportunities available within each State for continuing professional developments whether courses, seminars or workshops. APA Professional membership is the only independent means by which your potential clients can clearly identify your skills from amongst the range of practitioners with stated astrological ‘credentials’. Membership with the APA shows publicly that you have achieved a standard of professionalism that is recognised by an accredited Association. A referral network offers Professional Members opportunities. Members of the public contact the APA for information on astrological practitioners available in geographic areas, either by personal contact or via the APA website. As a Professional Member, you will have a free listing on the APA website once you provide your information. The APA referral network also offers members the combined support, experience and encouragement of other practitioners. Please read the Association of Professional Astrologers Information document. for other qualifications to be considered you need to provide evidence that the qualification included the completion of the Association’s required 320 hours of theoretical and practical training over a minimum of four years. Applicants must be nominated by a Professional Member of the APA with a written reference provided by the nominator. A second written reference from another Professional Member of the Association also needs to be provided with your application. Download the Application for Associate Membership of the APA plus Information for Associate Memberships Applicants documents here. Professional members of the APA are required to have completed a minimum 30 hours counselling theory and provide certified evidence of this education. Please attach certified evidence of completion. For supervision to meet membership criteria there must be an arrangement specifically for the purpose of supervision between the supervisor and supervisee prior to supervision taking place. Please read the Supervision Ethics & Practice document for detailed information regarding this. Applicants should also familiarise themselves with the APA Code of Conduct and the APA Constitution documents. All applications or correspondence should be directed to the APA Membership Convenor. Need further assistance? Please contact us to send a message.